There’s nothing like a good rags-to-riches story. In Minneapolis, that means you’re talking about the North Loop. Relegated to the bargain basement of the real estate world even a few short years ago, the area has since become one of the hottest territories in Minneapolis. With great real estate comes great commerce, and you’re in luck if you’re looking for some trendy places to spend your paycheck. From innovative restaurants to luxurious clothing and home goods stores, the North Loop has something to suit every shopper’s taste. Here are the people and places responsible for making the North Loop an experience that only Minneapolis can offer. MartinPatrick3 is a legendary cornerstone of the North Loop, and for good reason. 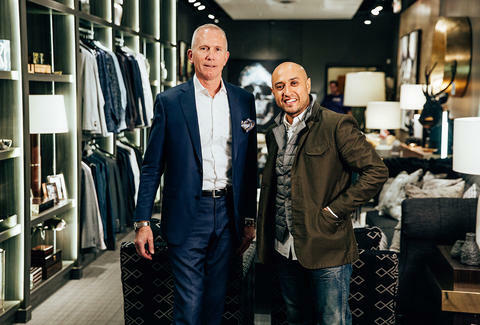 Long (as in decades long) before the Dayton Brothers set up shop in the North Loop, MartinPatrick3 was serving up the classiest, chicest men's store around -- but it wasn’t in the center of it all when it opened. Curated by Swindler and co-proprietor Greg Walsh, the store remains one of the only places in Minnesota to find cult beauty brands such as Santa Maria Novella and Malin + Goetz on hand. Brand manager Erick DeLeon also keeps the place on the cutting edge of men’s lifestyle. The front half of the store is replete with drool-worthy home goods arranged in approachable vignettes that invite customers to sit down and handle the items, truly making the purchasing process hands-on. 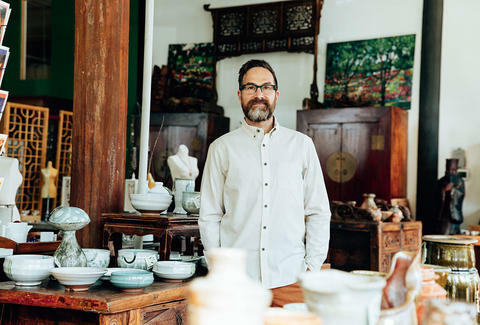 The rest of the store’s high-end wares are stocked in a similar fashion, with elegantly designed displays that help you instantly imagine the objects in your own home. There are ways to take the MartinPatrick3 experience outside of the store as well. You can commission the owners’ impeccable taste to design your home’s interior, and if you purchase items from the store make sure to sign up for their rewards program for discounts on future purchases. To truly maximize your experience, make sure to follow MartinPatrick3 on Facebook for more information about upcoming events, where you can peruse the store with a free drink in hand, enjoy delicious catered snacks, and find special promotional deals around the stop. With everything from luxe home goods to tailored clothing classics to rich accessories & cheeky gifts, MartinPatrick3 is the only store you'll find women envying their men for. Wander around the store with a whisky and the building's resident pair of poodles the next time you have a few hours to burn in the North Loop. And while you’re there, enjoy other OG North Loop haunts like the ethereal Lappan Lighting, followed by a well-earned dinner at the 40-years-strong Monte Carlo across the street. Destination North Loop (aka D.Nolo) hasn’t yet had its fourth birthday, but it has had a great three years and counting. The female yin to MartinPatrick3’s yang, D.Nolo is serving up luxurious female fashion in a modern cooperative atmosphere. 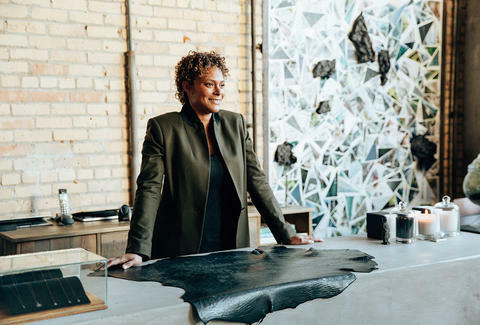 Housing nine retailers in fashion, style, and home decor, it’s the product of owner Veronica Clark’s iterated ethos: Quality trumps quantity. 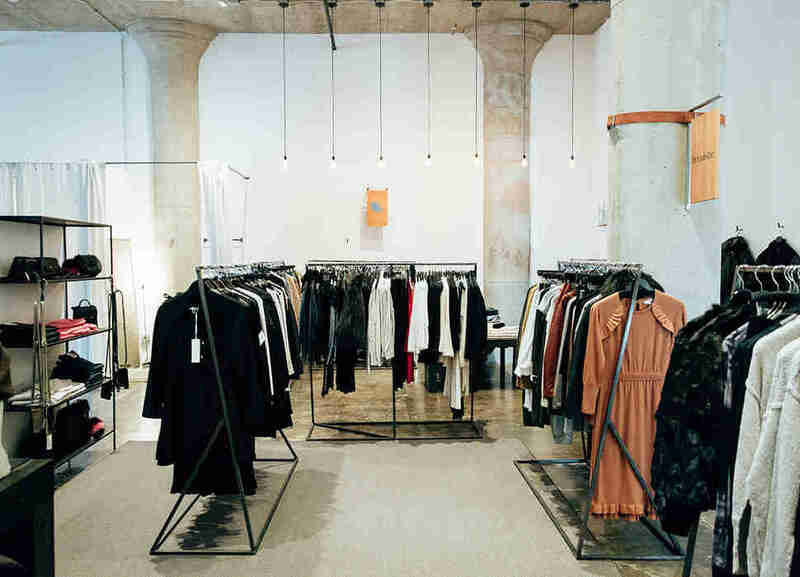 Its high-end offerings elevate the grade of co-op and consignment shops, while also affording greater opportunity to more daring, experimental, and fledgling designers. While high-end offerings abound in the neighborhood, D.Nolo is the launchpad for what other shops will be selling the day after tomorrow. Located just across the street from MartinPatrick3, the women’s boutique shopping center is a much-wanted counterpoint for stylish couples looking to do some day shopping, which Clark describes as a “little sister” to her frequent colluders at the men’s store. “Four years ago it was just me and MartinPatrick3. It’s evolved quite a bit over the years,” she says. “I was really excited to move to the North Loop and be a part of this community. It’s up and coming. I wanted to be a part of that process and contribute to that. 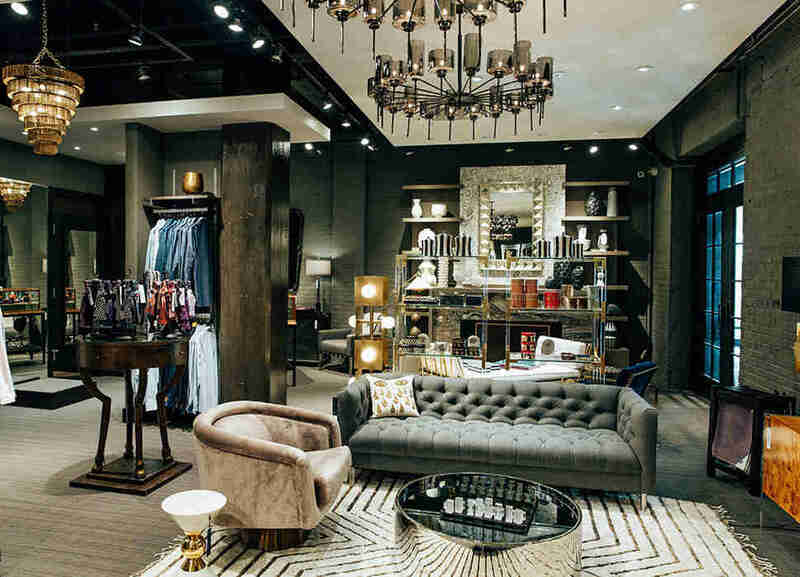 Here, you can peruse from the cream of Twin Cities luxury fashion, with a plethora of cult-favorite brands. That includes high-end casual looks by Elizabeth & James and Citizens of Humanity from bluebird boutique; luxe basics including sterling Alexander Wang and Helmut Lang pieces from bumbershute; and more. If you are just browsing that’s fine, but the discerning shopper will zero in on Collective, where the crème of that cream is curated. Focused on the “shop your closet” movement? Refresh your existing wardrobe with one of a kind jewelry from rosegold. There’s a piece for every taste, from skull adorned gold rings to enormous chandelier earrings to dainty jeweled necklaces. You can also bring D.Nolo’s curated aesthetic into your home with unique interior furnishings from Witt + Bliss, an affiliation with Minnesotan designer Martha Dayton Design. Witt + Bliss’s dreamy, light, clean Amagansett aesthetic will have you dreaming of the beach in your home even during the coldest winter months. Clark has said that community is the utmost quality of any small business environment, and proves it in her ever-refining finery. Make sure to round out a full ladies’ day out shopping with stops across the street at C’est Chic Boutique for more unique apparel and Shoester’s to peruse a curated selection of women’s shoes. Minneapolitans are familiar with the Blue Plate Restaurant Co., which has given us time-tested gems such as The Lowry and the Highland Grill. But you haven’t really experienced Blue Plate’s excellence until you’ve checked out Freehouse, the restaurant group’s flagship location in the North Loop. Not only does Freehouse take advantage of the exploding trend of craft breweries by offering an excellent selection of beers conceived and created on-site (I personally recommend the No. 2 IPA), but it also offers a thoughtful menu that will please even the pickiest of eaters in your group. Dinner features can go anywhere from oysters to rotisserie sandwiches to banh mi to seafood mac ‘n’ cheese. Instagrammers, vegans, and gluten free fans alike will all be pleased with snap-worthy dishes featuring trendy ingredients like daikon, quinoa, avocado, edamame, and tabbouleh. Don’t feel limited to coming for dinner, however; Freehouse has options for all of your day’s culinary needs. Brunch is an excellent time to stop by and enjoy the sunny patio with a side of pork belly benedict and handcrafted cocktail. 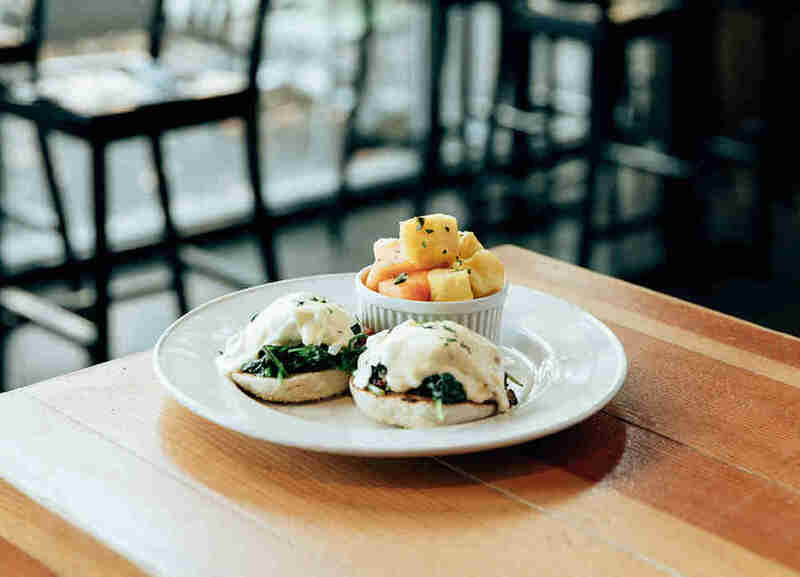 If you’re feeling extra, grab the breakfast gnocchi, featuring mushrooms, pesto, bacon, and arugula. A frequent host for other local beers, Freehouse serves other brands' brews right alongside their own, as their website proclaims, “with the belief that the quality and selection of our ingredients and the care and craft of our brewmaster shines through in every batch we brew and every pint we pour.” That admirable open market also gives the rest of the brewing community its chance to thrive. They recently hosted a collaborative dinner with Stillwater’s Lift Bridge Brewery, who “helped Freehouse brew their first batch of beer before the brewery and restaurant opened.” Neighbors helping neighbors and then toasting each other over dinner sounds like the best plan to build community. If your dining companions are not fans of the craft brew trend (no judgment), there are options for them as well. There’s an extensive cocktail menu and wine list, so all of your crew’s libation needs can be satisfied. 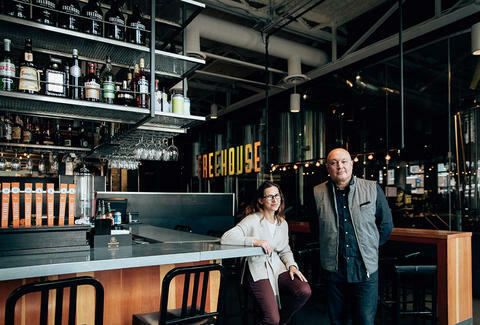 Whether it’s bison tartare, deep-fried rabbit legs or Korean Rockefeller oysters, Freehouse is truly bringing the word “innovation” to your plate in the best way. It’s the face of Minneapolis that needs to be shown to people who think this city’s culinary experiments end at a hot dish. To make it a day-long affair, you can also pregame at one of the many breweries nearby such as Modist Brewing and burn off your delectable dinner at The Alchemy, a luxurious new gym around the block. 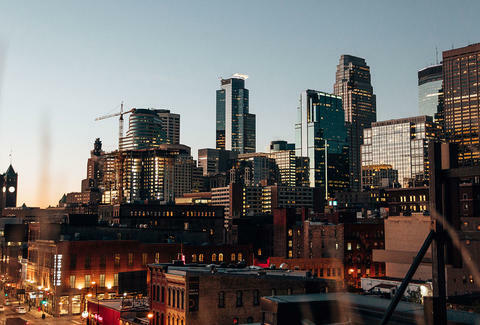 Jeromeo is a Minneapolis mainstay. Formerly located on Nicollet Mall, the shop migrated to the North Loop a few years ago and expanded beyond its lifestyle and wellness offerings (everything from antiques to essential oil) to massage therapy. Located in a beautiful converted timber frame and stone 1880s bakery/factory facility, Jeromeo choose to enter its new era in the burgeoning North Loop. Johnson certainly succeeded in his mission. He provides a wide variety of original, one-of-a-kind goods that are both local and imported throughout the shop. 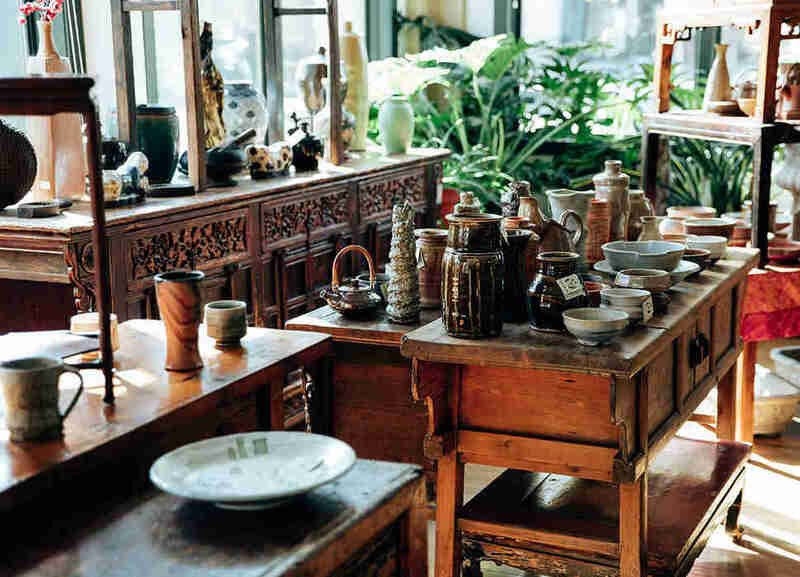 In addition to the gorgeous global antiques Jeromeo has always featured, customers can now find a stunning selection of furniture, ceramics, art, furniture, essential oils, and artisan-made treasures from a variety of sources, including a line of jewelry made in-house by Scott himself. Jeromeo is front-to-back an expression of his personality. To be here is to let him guide you through his interests -- and to find your own. If you’d rather find respite from the thrill of the shopping hunt, Jeromeo features a wellness center, which provides relief and relaxation through various styles of massage therapy including deep tissue, Swedish massage, Thai massage, and more. The comfortable and intimate atmosphere of the center is accompanied by PureomEO™, the shop’s original line of essential oils, body products, and natural perfumes. Designed to enhance the already meditative nature of Jeremeo’s space through aromatherapy, the signature scents are great to take home, for when you want a sense memory to transport yourself right back to your Me Day. And more is on the horizon. Johnson says he’s planning to add “a line of American-made, upholstered furniture, plus a unique tea and dumpling cafe that will focus on plant-based food options and tea drinks with unique flavors.” Jeromeo is the clear go-to for those looking to explore and savor the subtler joys of simple living. If you're heading somewhere as calming and classy as Jeromeo, you need something else to up the ante, right? Work out like Misty Copeland at the Bar Method, one of the Twin Cities' first true barre studios. Across the parking lot is surefire new hit Dalton and Wade, where you can fill up on beautifully-executed Southern food and one of the restaurant's more than 200 bottles of American-made whiskey. For a lighter, more bourgeois touch, hit Bev's Wine Bar right next door for a cheese plate and a beautiful glass of rosé. If you need a place to sleep off that delicious massage, look no further than the highly trendy Hewing Hotel down the block.